Stylish LED remote for Dual White LED AppLamps. Group lights in up to 4 zones. Switch on/off, dimming and control the white color tone from warm white to daylight. 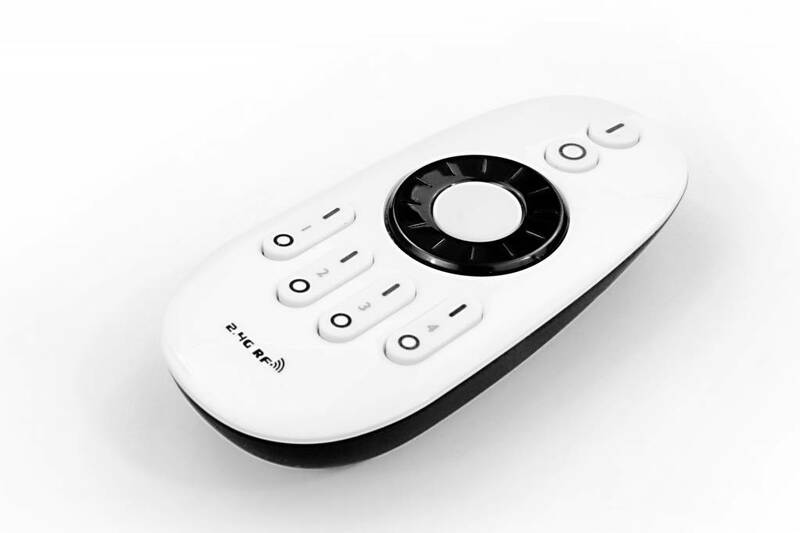 This stylish four-channel LED remote with sturdy casing is suitable for Dual White AppLamps. It can be used beside the smartphone/tablet app for iOS and Android. 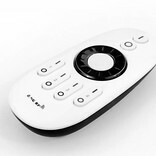 You can use this remote to control all LED lights simultaneously or in 4 individual zones. Switch on/off, dimming and control the white color temperature.